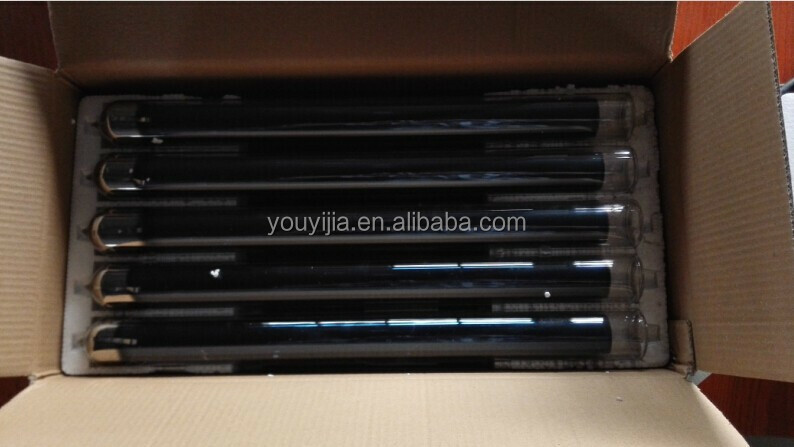 Standard export packing: 1.Sample : standard wooden case packing . 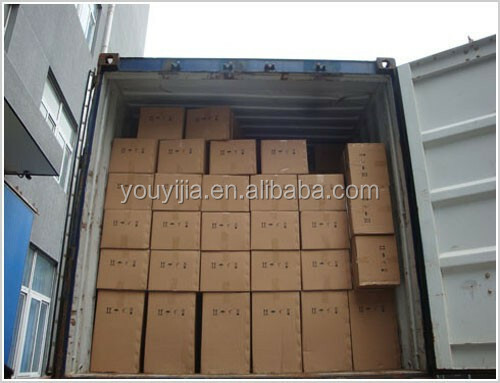 2.Container :standard cartons packing . 1.High efficiently, energysaving, comfortable and money saving, exceeding national first grade energy standard. 2. Durable and longlived, smooth running. Lower operating load of the compressor and therefore extend its duration. 3. 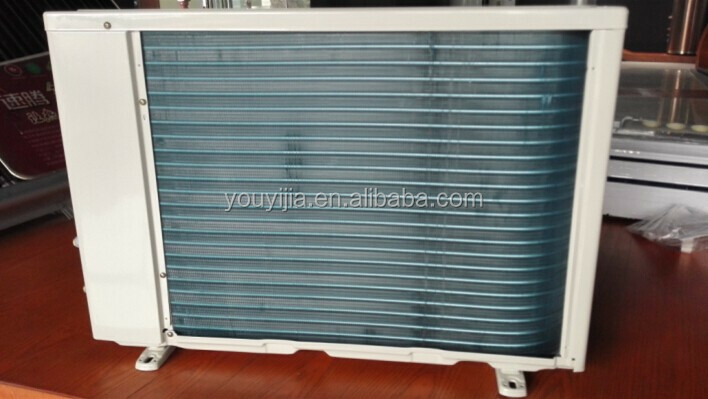 Healthy and comfortable, constant temperature and keeping air conditioner disease away. 4. 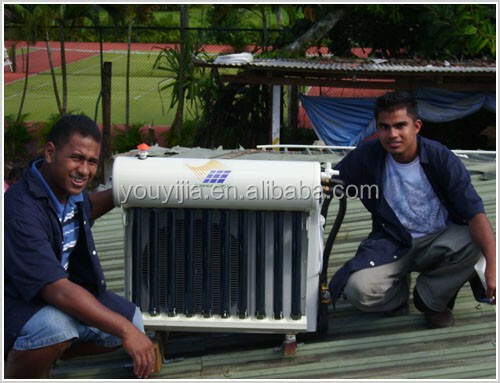 It is not frequency conversion air conditioner but superior to it because conversion type begins to save energy when the indoor temperature reaches the set value, while the hybrid solar airconditioner runs in the optimal state immediately after starting and it achieves the same effects of traditional air conditioner with less power consumption. 5. Super luxurious appearance decorates your home. 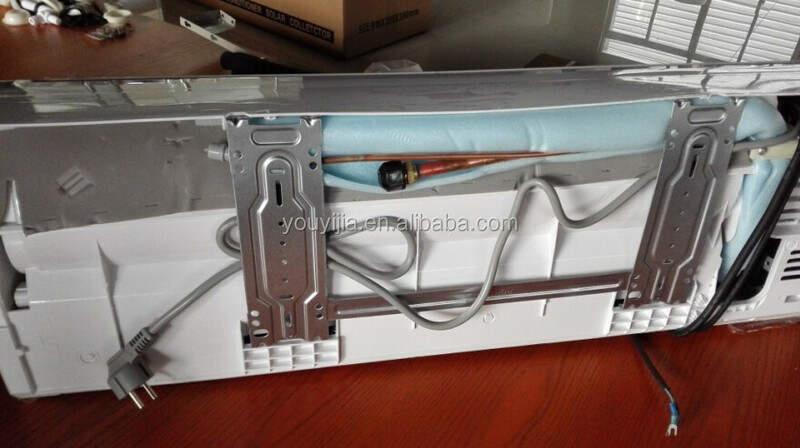 Indoor panel adopts aluminum alloy and wire drawing metal color board to make your house more sparkling. 6. 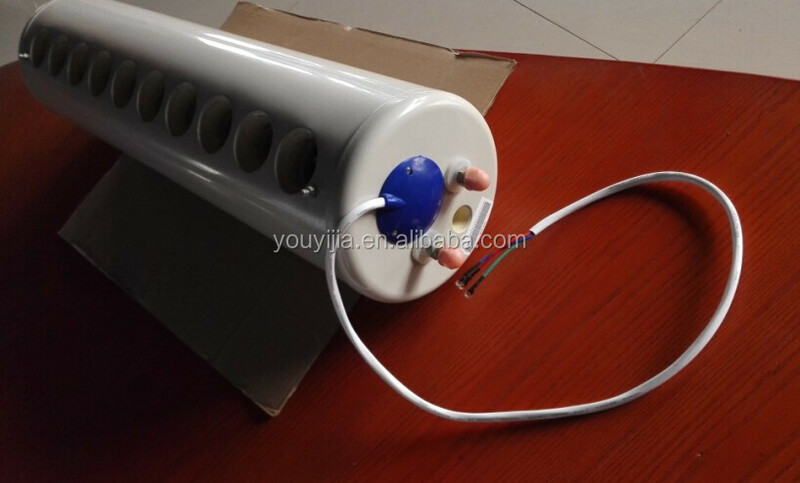 Automatic open and close dustproof air outlet. 7. 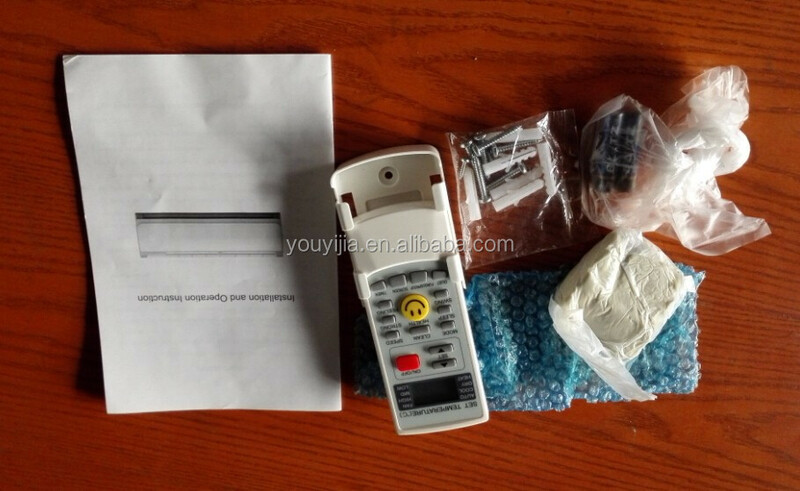 Easy installation, same as the traditional air conditioner. 8. With strong adaptability, SoliTec hybrid solar air conditioner can run at super low and high temperature from -7°C to 53°C. 9. 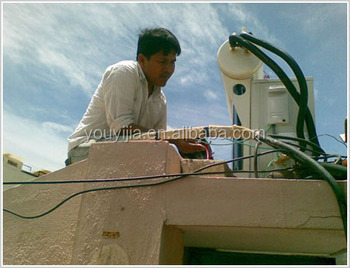 Exceeding the national standards and applicable to all kinds of environment. Wall Mounted Solar Air Conditioner. 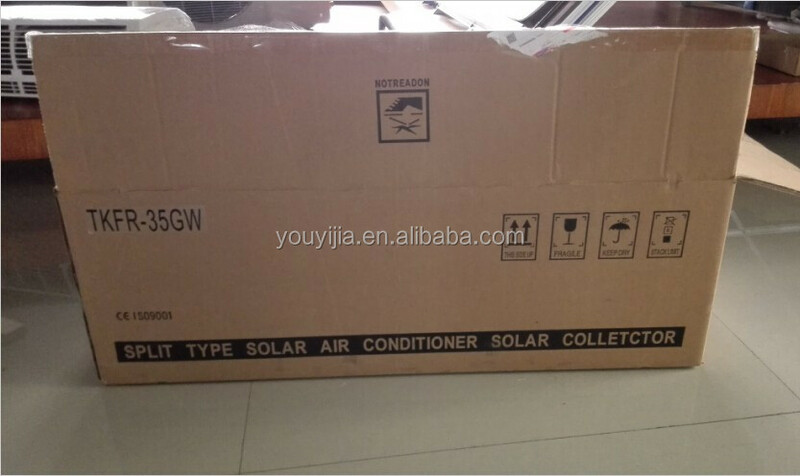 Why hybrid solar air conditioner can save electricity? Firstly, it absorbs solar energy to heat the inside medium by using a vacuum solar collector. The refrigeration from the compressor goes through the copper coil inside the collector and undertakes a heat exchange. The refrigeration exchanges heat with the medium inside the solar collector will go through a cycle inside the system for cooling and heating. 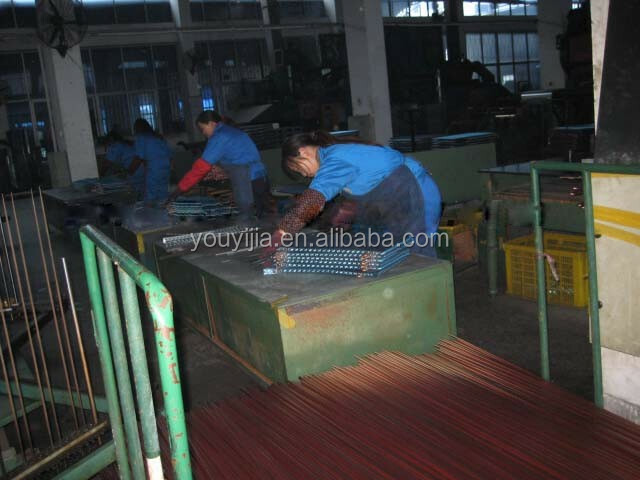 Secondly, it adopts a highly efficient heat-exchange system. The use of the internal thread pipe, hydrophilic aluminum fin and the optimal heat exchange system reduce energy loss, improve the overall efficiency and effectively ensure the performance. 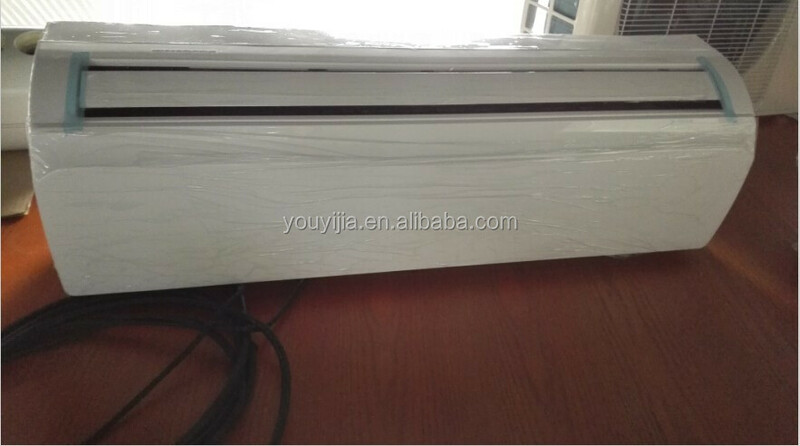 Therefore, hybrid solar air conditioner is more convenient and energy-saving than regular air conditioner. 1. 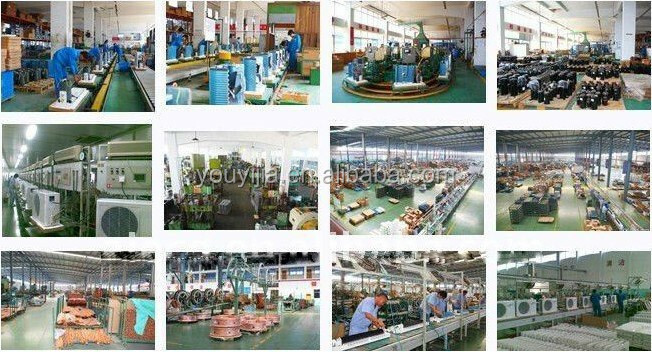 High efficiently, energy saving, comfortable and money saving, exceeding national first grade energy standard. 2. Durable and long-lived, smooth running. Low-loaded operation of the compressor to extend its duration. 4. It is not frequency conversation air conditioner but superior to it because the conversion type begins to save energy when the indoor temperature reaches the set value, while the hybrid solar air conditioner runs in the optimal state immediately after starting and it achieves the same effects of traditional air conditioner with less power consumption. 8. With strong adaptability, our hybrid solar air conditioner can run at super low and high temperature from -7 to 53 centigrade. 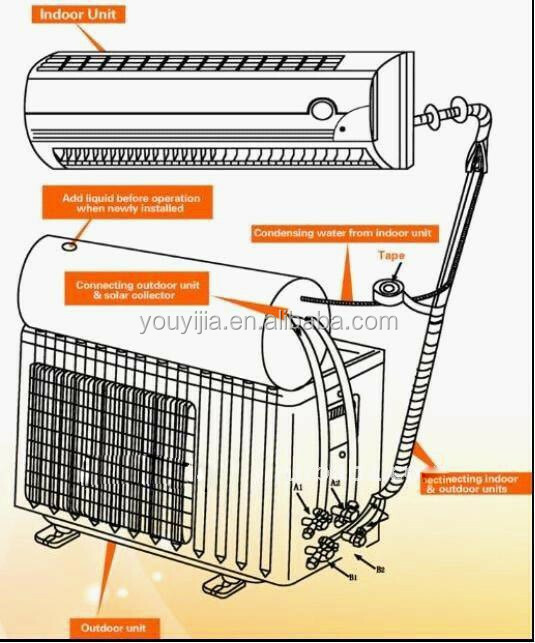 1.Air conditioner system saves 30%-50% electricity. 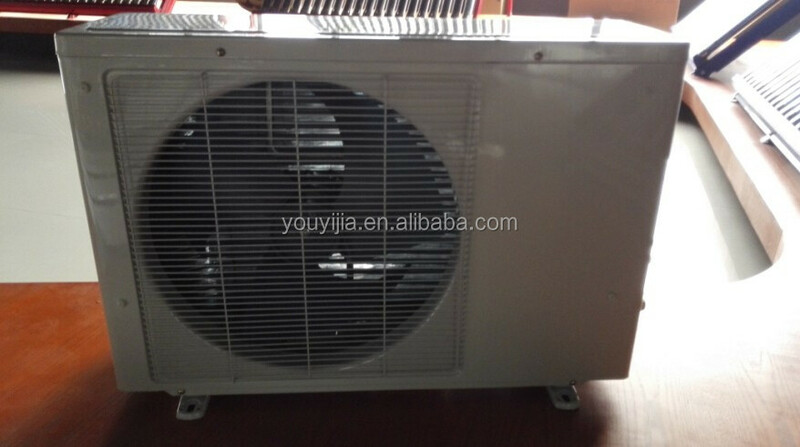 2.Air conditioner system runs in extreme hard conditions: from -15—55 centigrade. 3. offers you a suitable indoor environment and keeps you away from air condition disease. 4.Air source heat pump saves 70% and more electricity for heating water. 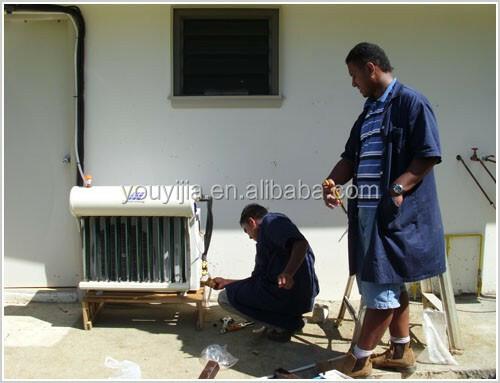 5.When the air conditioner system is on, you can get hot water for free. 6.Pressured system gives endless comfort. 7.Endless hot water and no need waiting. 8.Drinkable water to improve your life quality. 9.No water inside vacuum tubes, no explosion in winter. 11.Water is separated from electricity, safer for users. 12.Can be installed separately according to your hours/apartment, matches perfectly with your home. 13.Strong adoptability, can be installed on different angles according to different latitude. 14.Ecocomical and useful, One time investment for a life time enjoyment. 15.No pollution, energy-saving and eco-friendly. 17.Good insulation up to 80 hours.